When a new platform is launched, it is important that the marketing team make an analysis where it is worth the time and effort to use it beneficially. IGTV is a new addition in the market. The competition rate is much less than the other famous platforms. It is the time that recognition can be gained by grabbing the attention of a large audience. One prominent part of it the length of videos. Unlike the videos shared on feed or in stories, IGTV allows videos of minimum 10 minutes and up to of an hour. Either the account is verified or not, video can be shared on IGTV. The more time lets brand build up a story. It gives more space for storytelling and to engage audiences for longer. For better understanding, an infographic by M2OnHold has been created. This is a comprehensive kind of guide which tells you about the benefits of opting IGTV. It provides information regarding how to set your marketing goals right and making the best out of IGTV feature. In addition to this, some points regarding making content attention-grabbing and prominent have also been highlighted. 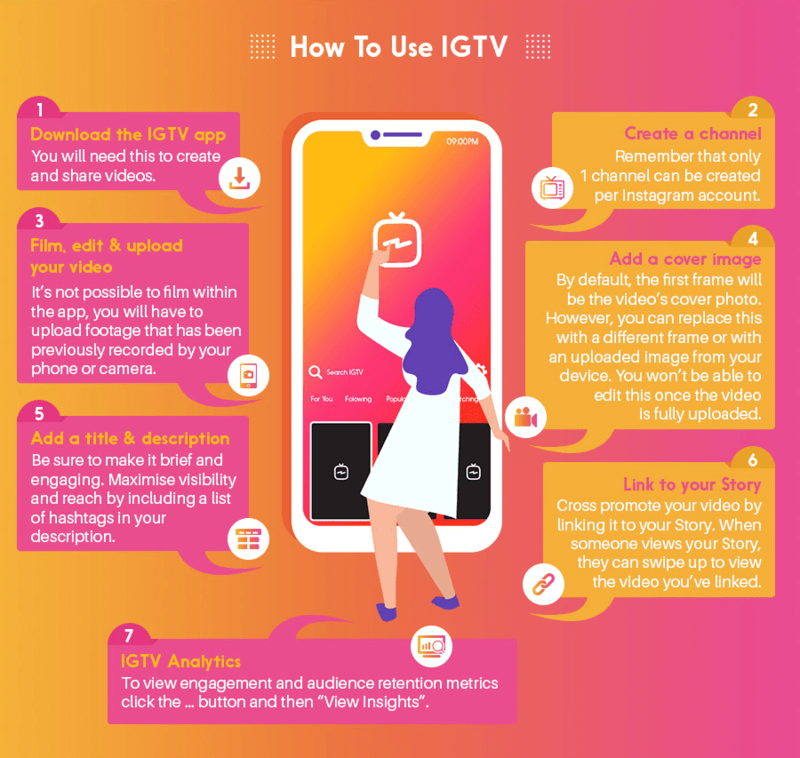 Take a look at the infographic given below for a better understanding of IGTV advantages and best practices.